Today I have another matte lip product to share with you. 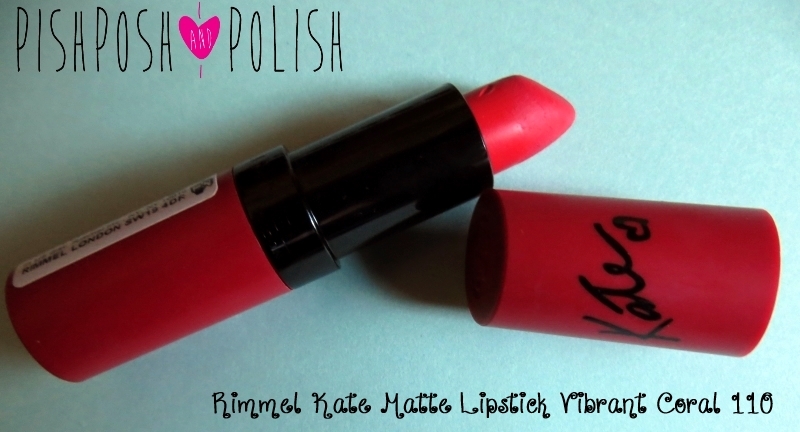 This is Rimmel's Vibrant Coral by Kate Moss- shade 110. I love the classic matte red bullet case that this lipstick comes in, classy and simple. Yay! Even though this is called Coral it is far more of a juicy red with a pink/orange undertone. The lipstick applied easily, I used it straight from the bullet but of course if you want cleaner lines I suggest using a lip brush. The colour pay-off from this is amazing! I love the fact there was no feathering from this lipstick either! Of course like with all matte lip products you need to make sure your lips arn't dry as it can look a little flaky . I found that even though this is a matte is has a little satin shine to it, which is quite nice on the lips giving a fuller look. 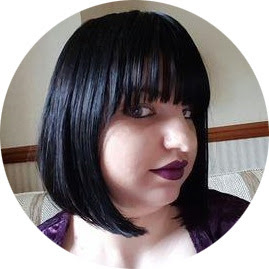 The wear time on this was decent too- and it didn't fade patchily either which is great as it means you can just apply this lippy in the morning and kind of forget about it! I really like this lipstick, it is really easy to apply and looks great on. You can buy this lipstick in most cosmetic stores- I bought mine from Superdrug! Do you own this? wow, what a gorgeous and fresh colour! Really suits you! Love these lipsticks! And that color is so pretty.